It is not merely a recitation that “Minimalist furniture is now an unexcelled front-runner,” but it is something that makes a considerable impact. From the palatial and plush penthouses to small and compact abodes everyone is switching to minimalist furniture, and there is a concrete reason behind this! Not only this type of upholstery looks quirky, but also these have extensive perks that have the potential to blow your mind. The exemplary part about furniture minimalism is the flair of sophistication and elegance it bestows. Let’s plunge in the pool and find out why getting minimalistic furniture on rent will be an unsurpassable decision. It’s not news that spacious and airy rooms are best for dwelling in. But in this world full of hassles we have to satisfy ourselves with small homes due to lack of landscape availability and some pocket problems. If you are craving for spaciousness, then you should tighten your belt, because there is an excellent option for you. We are talking about minimalistic furniture. There is nothing better and nonpareil than adopting furniture minimalism. The small and comfortable sofas, compactly sized beds, and other minimalist upholstery will open the doors for spaciousness, and you can use the space in a better way while making your abode de-cluttered and pristinely clean. A major aspect that looks daunting while furniture shopping is the longevity of design and trend. Buying furniture needs you to shell out huge bucks and also it is one of a kind decision. But with minimalist furniture, you will get the assurance of timelessness, as it will never go out of trend. The streamlined design and neutral colors are capable of complementing any home while eating up very less space and delivering the real potential of reliable furniture. This might sound as really obvious thing that everyone loves to save money when it is required. For all the budget freaks out there who are wondering about buying some furniture pieces, minimalist furniture is nothing less than a boon. Why spend a hefty amount on bulky furniture when you can get something that is easy on the pocket and is alluring too, the markets are flooded with trending and grossing minimalist upholstery designs that can take up your interior décor game up to a decent level. Also, you can save decent bucks on the transportation. The lighter and lesser the furniture is, more is the money you are going to save on it. Creativity isn’t an option for you if you are stuck with bulky and massive chunks of furniture. For bestowing the true colors of your creativity, you need extra space which is only possible with the case of furniture minimalism. The tiny and compact stools, benches, and other furniture essentials are comfortable to organize and can act as a showstopper while making your home a dream abode. This is one of the best things about minimalistic furniture. The minimalistic furniture requires very less or no maintenance which is an appended benefit in the long run. 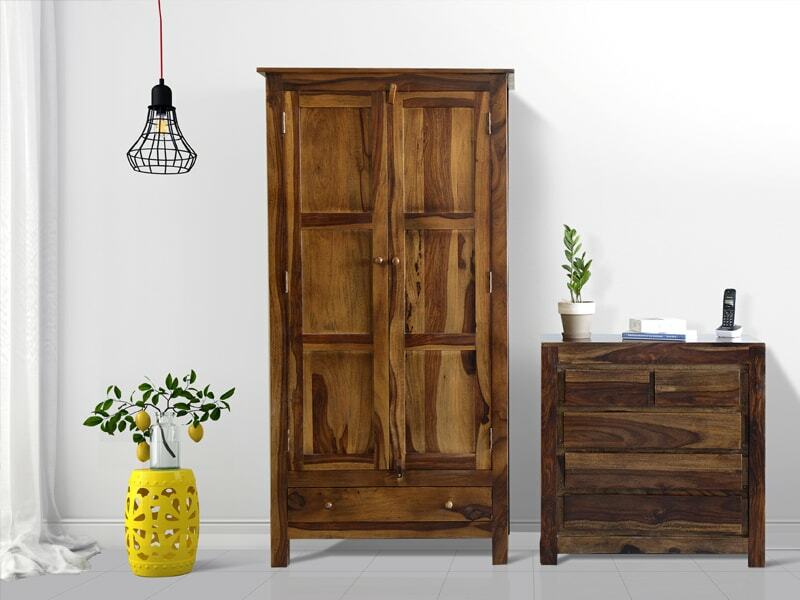 Also, you can bid adieu to the hassles of taking the furniture to the furniture shops for fixing the wears and tears because this type of furniture has less exposed areas for any possible problems. It has been psychologically proved that your mood gets affected by your surroundings, and if you have fuller surroundings that are loaded with clutter, then there are fair chances that you will end up with a bad mood. On the other hand, furniture minimalism promises you ample of space that lets the air circulate properly and is better for the mood. The luminescence reflected in rooms with minimal upholstery is better when compared to the rooms which are filled with unwanted wooden chunks. More furniture means more dust and harmful allergens! Just roam inside your home and have a look at the knickknacks; do you see traces of dust? It is quite a common thing that humongous furniture elements are more prone to dust and allergens. You have to keep these mites and dust away from your home for a proper airy breeze that is pristine and clear. You have to choose from two options whether indulge in the cleaning of your heavy furniture every day, or keep all the dust piles at bay by bringing home minimalist furniture. The wise decision is to purchase minimalist furniture or look for agencies that render services like furniture on rent in Delhi. We all have seen the cool advertisements where a sofa becomes a bed whenever it is needed. Same is the case with minimalistic furniture; it can double up to deliver dual functionality and act as a minimalist and maximalist upholstery. It also means that you are investing in something that will bestow you with the right amalgamation of multipurpose and dual usability furniture. From the reasons mentioned above you can conclude why furniture minimalism has attained a front-runner position and why it deserves a place in your abode. In case you are looking for an option to try minimalist furniture for some time then the best way is to get furniture on rent. There is a myriad of agencies that are providing services for furniture on rent in Delhi. These agencies will transport the furniture to your home and will install it the way you love in order to curtail your hassles while making things more convenient and accessible.